Today I am sharing with you seven amazing Ayurvedic Remedies for Cavity and Tooth Decay. These are very simple and easy strategies to help prevent or heal oral health conditions. Here is a health condition that my mother-in-law never suffered from! This is because her consistent holistic practice for oral health. I will share with you her secrets, and some other practices that is recommended in Ayurveda, but first here is a little background about tooth decay and cavity. Cavities happen due to tooth decay, which is the destruction of tooth structure. Tooth decay can affect both the outer coating and inner layer of the tooth. So the enamel and the dentin both are affected. This usually occurs due to high intake of processed sugar and starch rich foods such as breads, cereals, cakes, cookies, candy and baked goods. Additionally milk, milk based products (ice cream), pop are also responsible for this condition. When these food debris are left on the teeth, harmful bacteria’s that live in the mouth starts to eat these foods, and turn them into acids. The acid combined with saliva forms plaque, which clings to the teeth. Plaques dissolve the enamel surface of the teeth, creating holes in the teeth called cavities. 3. The acid from the sugar combines with food debris and forms plaque. Oral cavity, plaques and gum infections are treated with chewing herbal sticks (stems/branches of bitter or astringent plants), oil pulling, salt water rinsing, gum massage and using herbs/berries that strengthens gum tissues and stabilizes collagen. 1. Herbal Sticks: Chewing on fresh stem from neem tree is the most popular way to combat tooth decay and keep your oral health intact. The stems should be small, soft and without the leaves. Neem is extremely preferable for Pitta and Kapha Dosha and Licorice is good for Vata Dosha. Chewing these herbal stems that has anti-bacterial effect can protect teeth from plaques. 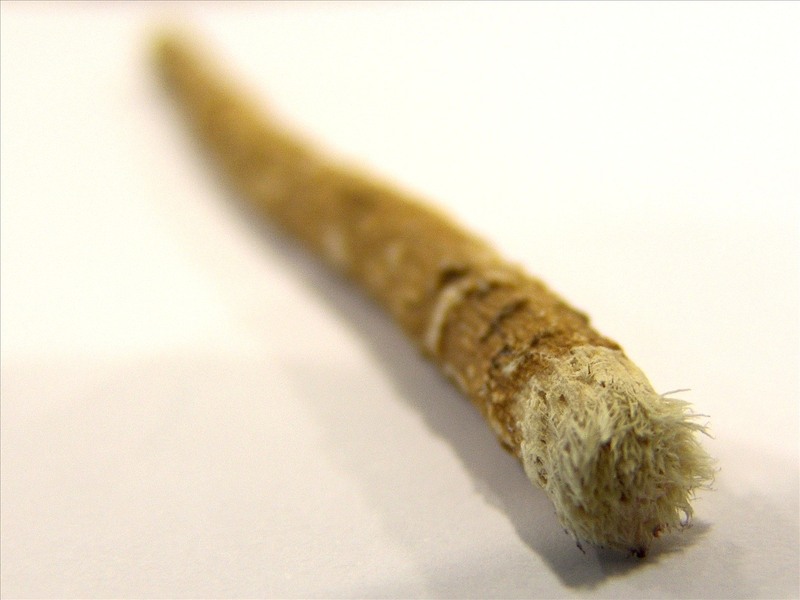 In many parts of the world Miswaak or twik from Salvadora Persica (arak/peelu tree) is also popular as a herbal chewing stick due to its high in anti-microbial properties. Neem, licorice or miswaak can be used as a tooth brush to clean teeth. Chew one end of the herbal stems to make feel like a brush. If you are still not comfortable using herbal stick than use a tooth brush that has a gentle bristle. Remember you teeth are “alive” so do not hurt them by vigorous brushing. 2. Herbal Tooth Powder: Ditching the commercial toothpaste would be a wise choice to make. I know it maybe something you are not used to know but you can easily grow into it. There are many recipes for making your own home made tooth paste or tooth powders. I love my tooth powder made from neem powder and salt. Many holistic tooth paste companies make toothpastes from neem or neem extract. 3. Oil Pulling: Oil pulling is a practice that involves swishing oil in the mouth oral and systemic health benefits. Oil pulling has been used extensively as a Indian folk remedy to reduce cavity, bleeding gums, bad breath, dryness of throat, cracked lips, whitening teeth and for strengthening teeth, gums and the jaw. Oils such as sunflower, sesame seed and coconut are very popular however sesame seed oil is the best of all the seed crop for oral health. 4. Gum Massage: This is the technique that is used by my mother-in-law. She told me about it when I was worried about my bleeding gum to try it out. She mixes 2 teaspoon of pure mustard seed oil with ¼ teaspoon of rock or sea salt and massages her gum gently. Her teeth are in excellent condition and they are shiny! This formula can combat pyorrhea, swollen gums, toothache, and bleeding gums as it strengthens the gums and kills the germs. I have also tried using turmeric powder (1/4 teaspoon) instead of salt or added turmeric with salt and mustard seed. Turmeric with mustard oil is beneficial for toothache, dental caries, and pain in teeth while eating chilled or hot food items, as well as for bleeding gums. 5. Gargle with salt: Gargling involves filling the mouth with comfortable amount of fluid so that you can close your mouth and create a motion by a stream of air from the lungs. Take half a teaspoon of rock salt or sea salt in a cup of warm water and gargle to prevent tooth decay. I sometimes add fennel or peppermint essential oil to my salt water before gargling. 6. Clove oil: Clove is one of the most important ingredients to in treating dental or oral conditions. It is used in many toothpastes, mouthwashes, and oral care medications. It is a flower bud of a evergreen tree that has numerous medicinal properties. Clove is rich in minerals such as calcium, hydrochloric acid, iron, phosphorus, sodium, potassium, and vitamin A, vitamin C and a powerful compound called ‘eugenol.’ Clove anti microbial and anti-septic properties of clove oil makes it perfect for treating cavities, bleeding gum, bad breath, tooth ache, sore gum, and mouth ulcers. Dilute clove oil with sesame seed oil, pour couple of drops in a cotton ball and put at the end of the tooth which has the cavity. Do this every night before going to bed. Keeping a whole clove under the tongue after eating is also beneficial. Chew lightly on the clove and keep it under the tongue. This is a breath freshener and will keep the teeth and gum strong. 7. Herbal Remedies: A well known herb in Ayurveda to reduce cavity and plaque is Amla or the Indian goose berry. It has the ability to rebuild the oral health as it supports the healing and development of the connective tissues. One to two grams of dried Amla powder can be taken as a decoction or capsule for long term benefit to the teeth and gum. Additionally Bilberry and Hawthorn berries can stabilize collagen, and strengthening the gum tissue. Note that all 3 berries are rich in Vitamin C.
In Ayurveda, teeth are considered part of Asthi dhatu or bone tissues. Herbs taken internally to strengthen bone, like the skeleton and the joints, are good for long-term health of the teeth. Some other herbs that strengthen the bones are yellow dock root, alfalfa leaf, nettle leaf, oatstraw, horsetail, cinnamon bark, and turmeric root. Share this post on your facebook, Twitter or Google Plus to spread the word of natural healing. Tell me what do you use to keep cavities and plaque away or from the given choice above which one would you chose? Thank u so much for posting such valuable info. Rather than sticking on medicines or getting my tooth drilled by a dentist I would prefer and recommend people to follow the awesome home remedies. You are most welcome. The Neem and Clove tooth powder saved me many dentist trips. Try that when you get some time. Order the Amla tonic and Divya dant manjan (Powder/Paste ) from Ramdev baba Patanjali kendra online or from nearby store in your area. I have done surgical extraction of my both wisdom tooth left and right now docter says you large teeth 36 No infect with cavity and you have to fill this tooth, but I do not want. If i mix all things you tell above in your post and rub on my whole teeths at bed time, is this safe for me and others. Mixture: salt, neem powder, haldi powder, grinded cloves, peppermint and both oils sesame and mustard. Will placing clove oil and sesame oil over a cavity / decay reverse it? Try a sesame seed paste and then sesame seed oil. Please consult your doctor. Will placing clove and sesame oil over a cavity or decay overnight for several days reverse it? Appu – give it a try. You have nothing to lose. I have not used toothpaste for 5 years. I used herbal tooth power. I am Bindu Pille from Thane, Maharashtra. I have gone though the above website regarding Ayurvedic Remediy For Cavity & Tooth Decay. I found the information given is really very useful. I am so much happy to get this information by which I can cure my teeth problems with Ayurvedic Method. I thanks to this whole team of this website for providing such a greate information through this website. Is there a herbal drop in the market that can be applied directly to teeth? Not sure what you mean by Herbal Drop. I use herbal toopowder and then sesame seed oil for oil pulling. Keep it simple. Can pregnant women try these remedy. Please reply. Hi. I need a wisdom tooth out. It is decayed badly. It has started to decay the molar next to it. It gives me swollen gland and tender jaw bone on and off. Will I be able to heal this kind of damage ? I started oil pulling with coconut oil a few weeks ago once a day. I use a remineralizing toothpaste I made too now. Any advice for me? Try oil pulling with sesame seed oil. DO not use commercial toothpaste. Lower your caffeine intake. I have a wisdom tooth which is paining since a long time and its an on and off pain. The tooth is even chipped a bit. My dentist suggested me to go for tooth extraction because the tooth has a cavity, decay and the nerve is exposed (may be because of the drilling). I don’t want to go for an extraction so I have started the rock salt, mustard oil and turmeric home remedy twice a day. I also have an opening in that tooth so I put a cotton ball soaked in the above mixture and keep it for 15minutes. I will also start oil pulling with sesame oil. Can all these remedies reverse the damage done to my tooth and relieve me from getting the tooth extracted. Please advise on the same. Will be highly obliged. Please see a doctor for this. My blog is to support and maintain health. Therefore all remedies mentioned are home remedies. I have two decays in upper side of tooth, any home remedy reverse it and to avoid root canal. That I have not heard of as yet. Please ask doctor what can be done to combat that. My son is 2.5 year his fron two tooth is badly decay and doctor suggested to do root canal. But I dont want him to such a pain. Can you suggest something to reverse his tooth decay. I have a wisdom tooth which is paining since a long time and its an on and off pain. My dentist suggested me to go for tooth extraction because the tooth has a cavity, decay and the nerve is exposed (may be because of the drilling). I don’t want to go for an extraction so I have started the rock salt, mustard oil and turmeric home remedy twice a day. I also have an opening in that tooth so I put a cotton ball soaked in the above mixture and keep it for 15minutes. you must see a dentist first. Then as a preventative you can look into making neem as a herbal toothpowder along with close and salt. A dentist said I had a deep cavity that he would try to do a filling on or else, it may require a root canal. he did give 3 shots before the filling probably as a pain killer. during the filling it started to hurt, he then poked in the tooth with something and it hurt, so he said I should get a root canal or tooth extraction. Around 1 year prior to that visit I did have some mild sensation a handful of times in that area. Do you have any better ideas regarding the problem/solution? Please be as clear. Hi, I was wondering what tooth powder you use and where to purchase the herbal sticks? I make my own toothpowder with neem, salt and clove. Sometimes I add peppermint. You must see your dentist. As a home remedy you can see if swishing with sesame seed oil helps. Really this book has more information about ayurvedic treatment for different diseases. This article also enables us about ayurvedic dental treatment and many other diseases. Thanks for sharing this information with us. Thank you for this information. Should the sesame oil be raw? Also, do you recommend a particular salt, like Himalayan pink salt? Thank you. Sesame oil should be cold pressed and extra virgin. You can add rock salt if you want to. Please start swishing with sesame seed oil, eat less sugar or flour based foods. Orange essential oils are great for teeth whitening. Hi, this is a good article to prevent tooth decay. But, i have a small doubt. I have a tooth decay, after following all these should i consult a doctor again ? And, will these tips fill the hole in the teeth (which occurred due to the decay). You must always see a doctor who can diagnose and give you an overall idea. This is for daily maintenance. This is very good article.I have read the details article. My mother in law does this.But she also brushes with salt and neem. Can I use the mustard oil with salt formula daily instead of brushing ? yes you can. My mother in law does that. Thank you so much for this post. I really need some help. I’m only a 19 year old girl and for the last year, I’ve been consistently using Patanjali’s Dant Kanti toothpaste, as well as my own powder concoction that includes – Neem powder, clove powder, cinnamon powder, mint powder, haldi, and salt. Every night, after brushing my teeth and rinsing, I apply some of this powder on my teeth and gums and leave it on for about two mins, then rinse it off a bit (and leave some on to remain all night). STILL, some of my teeth occasionally hurt, and I’m shocked. One of my teeth at the back, a molar, was hurting after dinner. The dinner was regular sabzi and roti. Many other days, another molar on the other side on top hurts. Usually, keeping a clove in that area relieves the pain. But the issue is why this is happening, despite using herbal toothpaste and something as powerful as neem. why would my teeth hurt for even a second? they should be strong by now. I’m only 19. Why do they hurt? What can I do? Also, please suggest a routine. I do regular brushing in the morning, and don’t have any time for oil pulling or tooth powder as I have school. But, when I brush at night, I use the toothpowder afterwards. You said that your mother in law uses mustard oil with salt for massage, when can I do this? Can I just add the mustard oil to my toothpowder and use that? Thanks. My dear Divyanka, You must consult a dentist to see what is wrong. This is the only way you can find the root cause. Unfortunately I cannot give medical advise. However I can share what I do. I make my own toothpowder http://conscioushealth.net/product/ayurvedic-herbal-neem-toothpowder/ and I use this. I do a tongue cleaning first, then gentle brush (please ensure the bristle on the brush is soft). and lastly I do swishing very gently. Repeat the same at night. In your version of the toothpowder – can you add Himalayan Rock salt or Pure Sea salt? You can also combine salt and mustard oil and massage with your fingers after brushing. My 8 year old kid have tooth decay and infection due to that, I visited two doctors and one said that root canal should be done and another said u should extract the tooth, will the home remedies will help in remineralization of tooth, she is using salt (ordinary iodized) and sometime baking soda. She brushes twice a day, but still she is facing the issue. I occasionally use cleaned pine sap as a temporary filling. Do you think blending clove oil into my pine sap will help cure my cavities? You can try for sure. everyone stays on weight loss, what about gain there is never enough info on that subject some of us have a high metabolism and nothing helps eating tons of food is obviously not the answer, genetics don’t help lol so what advice do you have PLEASE !!! Thank u for the helpful info. My daughter is 5 year old. Went to the dentist they said she has cavities in between her teeth. She doesnot have any pain . But the doctors are recommending drilling her teeth . My question to u is can u do oil swishing and home made paste remedy with her ? I mean is it safe for 5 yr old girl? Swishing is with simple oil – sesame seed or coconut oil. Will these remedies fill and cure the small holes in teeth due to cavity or filling is required?? Plz reply..
You have to see a dentist who has a more holistic approach. I heard chewing tobacco( chewing paan) takes a big roll in protecting tooth cavity and any types of tooth damage. Does it really work? Please suggest me. i have not heard this and has not come across my own research. My friend eat chocolates often and brush her teeth two times a day.. She was asking me whether she will get tooth decay? Honestly I don’t have any answer to her. Could you pls tell your views in this regard? If she is eating chocolate that has a lot of sugar then yes. Dark chocolate with less sugar is good. Tell her to start the swishing as well. Hie Nahid Ameen, I am so glad that I have come across your article for tooth cavities and decay. this is the perfect article for tooth problems I must say, this is so informative. The remedies you have shared here are amazing. Can you please tell me what is the reason behind the bleeding through teeth while morning brush. I welcome you If you can share some remedies and reason behind this. Thanks a lot for sharing this article. It is usually high sugar or high grain diet or high fruits diet. You may think you dont have enough of those but keep a food log and you will find out soon enough. Please get a bloodwork done to check for Iron levels.